Last May, Uadaya Sivakumar and her husband got into a car accident in Colombo. It wasn’t serious, but they knew immediately that they were in for an ordeal. They are both Tamil. Sivakumar grew up in Kandy, before moving to Colombo when she was young and her husband is from Jaffna. After the crash, they went to the local Police station to submit a report. When they arrived, the receiving officer only spoke in Sinhala, Sivakumar recalled in an interview. She speaks Sinhala, as well as Tamil and English, but her husband can only speak basic Sinhala, she said. Sivakumar said that because of the language barrier, it took almost four hours to record the complaint. Sivakumar and many other Sri Lankan Tamils like her, say occurrences like this are a routine part of daily life. 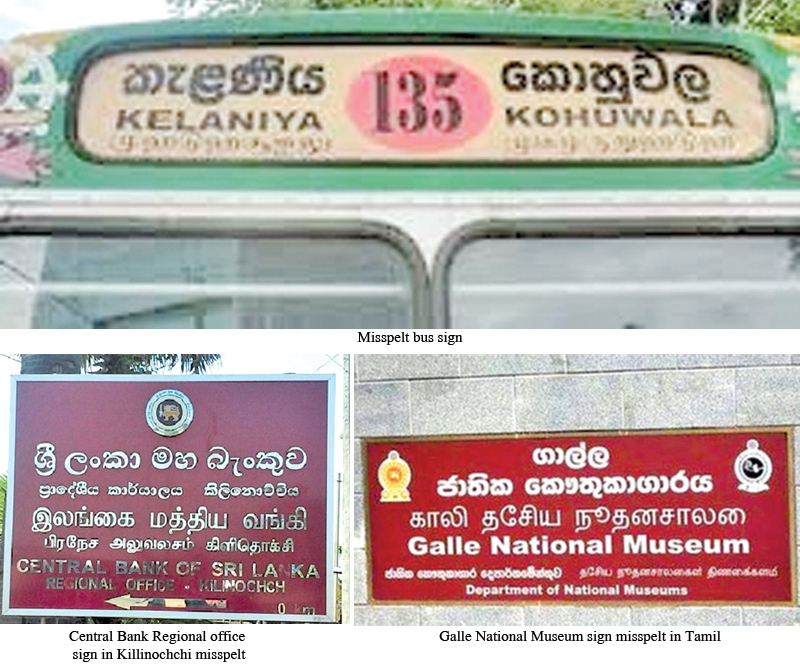 Reminders that the government of the Sinhala-majority country does not operate in the minority’s mother tongue are everywhere, in the form of misspelled road signs, bank forms, bus routes and hospital records. The result of all this is that Tamils often do not have equal access to government services as their Sinhala neighbors, even though legally, Tamil has been an 'official language' of the country since parliament passed the 13th Amendment of the Constitution in 1987. Sivakumar said that even though she was born here, went to school here, works here and has family here, she often feels like an immigrant to her own country. “I always have that feeling,” she said. She is not alone. Data collected by the Consultation Task Force on Reconciliation Mechanisms, a group set up by the Prime Minister in 2016, shows deep distrust in the government’s ability to communicate with its Tamil citizens. In most of the 7,300 submissions the task force received, people identified “shortcomings in bi-lingual language proficiency throughout the machinery of the State” as a “major impediment” to reconciliation, its final report stated. They recommended that bi-lingual training for government workers be prioritized immediately. However, the Government has “largely ignored” this recommendation, in the words of the International Crisis Group, an international NGO. It has now been three decades since Tamil became an official language in Sri Lanka. But interviews with residents, government officials, and NGO leaders show that progress towards the Government’s stated goal of language equality is extremely slow. Some argue it’s practically nonexistent. Mano Ganesan, the Minister of National Coexistence Dialogue and Official Languages, said there’s a reason for this slow progress in a recent interview. But the consequences of inaction have continued to breed the kind of conditions that led to civil war in the first place. Luise von Flotow, a Canadian academic who was in Sri Lanka in 2013 and 2014 as part of the National Languages Project, said she was struck by the language barriers here between the government and its citizens, particularly in the Tamil-majority North. She recalled a Tamil and English-speaking judge she met in Jaffna, who had to deal with cases that Sinhala-speaking police brought to court. With the accused often only speaking Tamil, many cases descended into confusion. On the internet, Tamils often share pictures of misspelled road signs and signboards. Recent examples include the main sign for the Central Bank’s regional office in Kilinochchi, and the entrance of the Galle National Museum. They were spelled correctly in Sinhala and English, but were not, in Tamil. Uadaya Sivakumar said she often has to change her name on government forms, as even paperwork translated into Tamil requires people put down a middle name. Middle names are extremely rare in Tamil culture. To get around it, she writes her name as “Udayaa Siva Kumar,” she said. 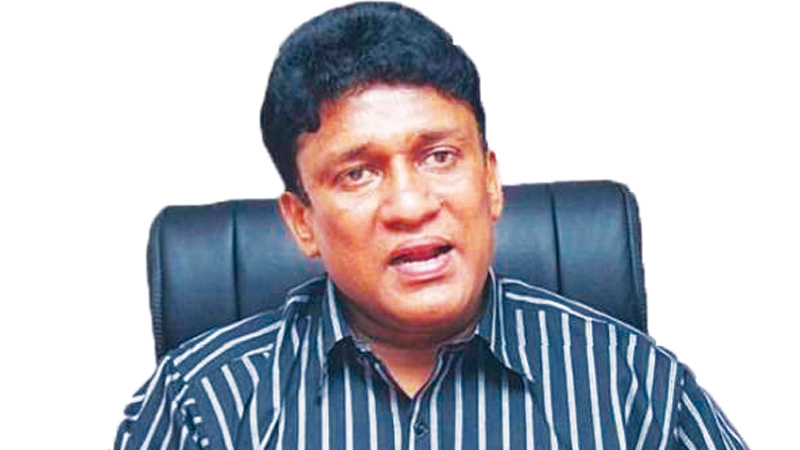 Janagan said he believes the only way to heal the divide, and create lasting peace in Sri Lanka, is to commit to real instruction of Tamil and Sinhala in all primary schools. Currently, mandates do exist to teach both languages in government schools, but the lack of qualified Tamil teachers in the South, and Sinhala teachers in the North, hobbles progress. Sinrasa Thananchayan, a law student at the University of Jaffna, said he believes language is perhaps the main barrier to post-war reconciliation. “We need to communicate with the government, with the southern people. Only by way of this communication can we actually achieve the true reconciliation of peace,” he said. “One of the reasons for the emergence of the LTTE and other Tamil armed groups on the northern side, one of the reasons was miscommunication,” he added. Some analysts say the necessary legal framework for language equality in Sri Lanka already exists. The problem is the lack of commitment by those in power to enforce it. “The political will to be able to prioritize this, and having prioritized this allocate the requisite resources… it’s not there,” Centre for Policy Alternatives Executive Director Dr. Paikiasothy Saravanamuttu said in an interview. Even with the election of a unity government in 2015, commitment to true post-war accountability does not exist, he said. “That has to be broken by a concerted political effort, by the two main parties who currently are in government… to come out and do a campaign on the basis of reconciliation and national unity in which language is basic pillar and integral part,” he added. He said he believes that the current government coalition has a unique opportunity to enact deep structural change to the state that would create grounds for a lasting peace. “I think there is still room for reform, but what it requires is a major concerted effort to pry it open, and let the air in,” he said. For the official language policy to actually be implemented, resources need to flow on the ground. If there were enough translators in government agencies, or multi-lingual government workers, things like what happened to Uadaya Sivakumar at the Colombo police station wouldn’t happen anymore. “If the language policy was properly implemented, you would go somewhere,” Dr Saravanamuttu said. For people like Janagan, the CEO and activist, Dr. Saravanamuttu, the head of the think tank and Minister Ganesan, there is still hope in a political solution to the language issue. Ganesan said his ministry is planning on employing 3,200 new “language officials,” who are bi or tri-lingual, in government offices all over the island by next year. He said they are also working on developing better translation software between Sinhala, Tamil, and English, and a mobile translation app. But for Thananchayan, the young law student from Jaffna, and many in the younger generation, the solution to the language barrier may lie outside of government initiatives. He said people are finding new ways to communicate–over Facebook and other forms of social media. “Nowadays the trend is, especially in regard to this social media, the people themselves, without trusting, without seeking assistance from the government, or even their representatives, they come to the road, and they protest, and they do everything,” he said. “Young people communicate in way older people can’t,” he said. Because of that, he added, there is hope.